Crashlytics is one of the powerful crash reporting service integrated with Zoho Projects which helps in tracking the mobile app crash and reports them as issues in Zoho Projects. Crashlytics integration is available in our Premium and Enterprise plans. Click here to learn more on access privileges for Crashlytics integration. Why am I unable to view the issues? 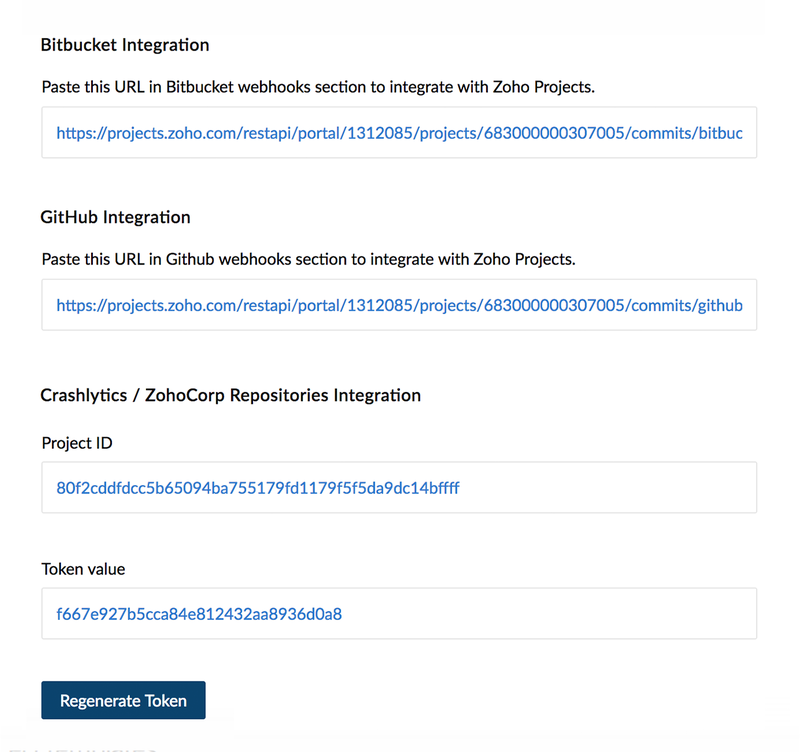 You must copy the Project ID and Token value in Zoho Projects to integrate with Crashlytics. Select the required project in Projects. Select Developers Space in Integrations. Copy the Project ID and Token Value in Service Hooks. If the copied Token value is invalid you can click Regenerate Token. Login to Crashlytics with your login credentials. Click Settings and then click Apps. Search and select the hook Zoho Projects from the Service Hooks options. Past the copied Project ID and Auth Token from Zoho Projects in the Project ID and Token value fields. Click Verify to create a service hook for Zoho Projects in Crashlytics. Once Zoho Projects is configured in Crashlytics you can set the desired impact level to track issues. 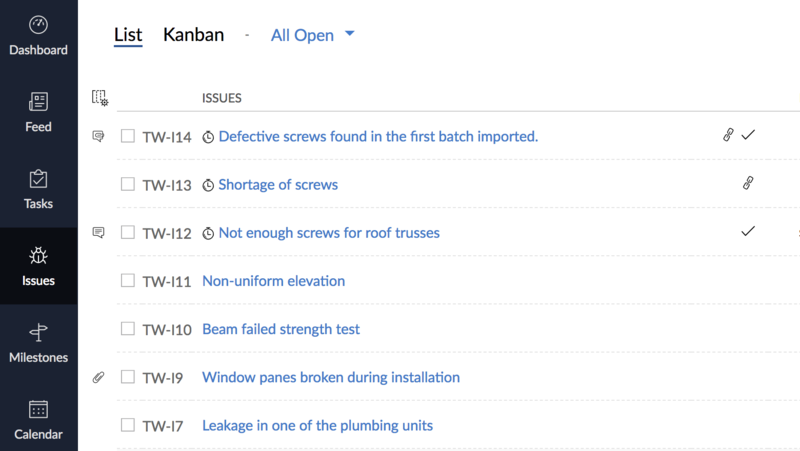 Select the required project in Projects and click Issues. And in List View, you can view all the issues reported from Crashlytics. Sometimes, you may have problems in viewing your issues in Zoho Projects. If that is the case, you need to reconfigure and try again. In most of the failed configurations, you need to check the validity of your auth token. What it indicates: The provided authtoken is either wrong or invalid. If you have problems in spite of a successful configuration, you need to check the impact level settings. Learn More about why you are still unable to resolve the problem.